A comfortable retirement can require careful planning. 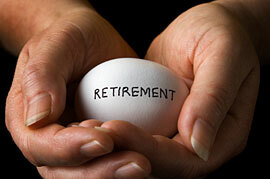 We can help you to have the option to retire sooner and wealthier through business and tax planning. In particular, we can advise on. Succession planning, whether to family members, competitors, existing employees or partners. A business valuation service, based on careful analysis of your financial performance and position. Forecasts of tax liability to help with arranging your affairs to reduce tax on disposal of the business. Consideration of inheritance tax, capital gains tax, stamp duty, VAT, income tax and national insurance implications. Pension contributions can be highly tax efficient, particularly as a way of extracting profit from your business. Certain self-invested schemes even allow you some control over where your money is invested. Despite these advantages, however, you should consider the penalties and risks involved. We can advise on the limits that apply to you and help build a plan around your particular needs. Some investment and saving products are more tax efficient than others but some are also higher risk. We can help you choose the most appropriate by explaining the differences. Please contact us if you would like further guidance in this area.